And I thought I had problems. The Metropolitan Opera is down to its last $200 million. Everywhere there are reports of artistic gloom, yet there is very little news of anything being done about it. But here's some. Live music at a top music venue for just £4, or £2 if you are under 27. Aldeburgh Music are running open sessions of chamber music, drama and jazz as extensions of their artistic residencies at Snape. We've bought tickets for saxophonist Andy Sheppard's Open Sesssion on February 6th and will keep you posted. Andy has a new recording contract for ECM and some of the music from his residency may find its way on to a future release. 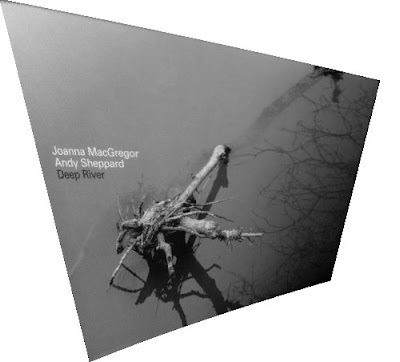 Deep River by Joanna MacGregor and Andy Sheppard on Joanna's own SoundCircus label is a gorgeous disc. Listen via that previous link while you read more about Deep River here.